The Kaua‘i County Housing Agency and the Department of Parks and Recreation announced the rehabilitation work for Kalena Park in Lihu‘e will begin Monday, and will last through March 7, on weekdays from 7:30 a.m. to 4 p.m., weather pending, according to a county news release. During the project’s rehabilitation phase, the basketball court and immediate surrounding grass area will be off limits until the project is complete, and will be marked off with barriers. However, the playground, pavilions, and comfort station will be available for use. Contracted by Jas. W. Glover, Ltd., the scope of the $218,113 project includes resurfacing of the basketball court, replacement of basketball posts, backboards and rims, court surfacing and sports markings for the basketball court and two pickle ball courts. Funding for the project is provided by the U.S. Department of Housing and Urban Development, Community Development Block Grant Program. 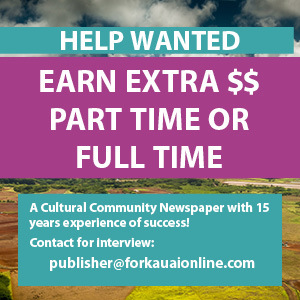 For more information, call the Kaua‘i County Housing Agency at 241-4451.